Nag, nag, nag – here we go again. I want to run this blog one way; the fans push it in another direction. However this time they have a point. This ramble was written only a month ago which means you wouldn’t be seeing it for about another year if I was sticking to chronological order, but as you will see the sentiment is meant for now………. It’s been ten years since you died and though I think of you often, I particularly missed you this weekend. 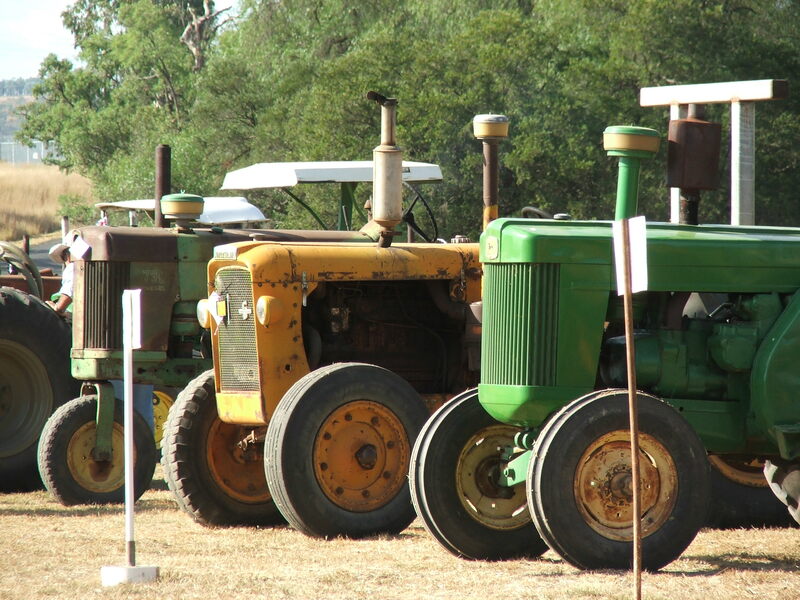 This weekend was the annual Coolatai Vintage Tractor Pull and you would have had a ball. There have been two previous Pulls which were somewhat boring to a non-competitor but the Coolatai Mob gave this Pull a real shake and it was a ripper. As for any major event there was plenty of organising and I was organised quite early into organising the mini-dog entertainment. Closer to the date there were plenty of working bees which Brian attended but whenever I volunteered I was told not to worry, there would be something for me to do later. In hindsight I should have taken this as an ominous sign because so it was. 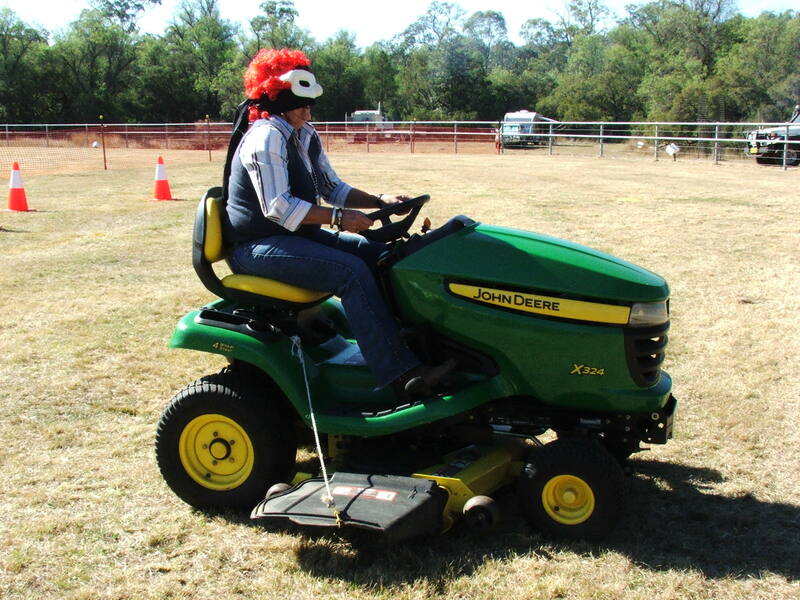 Last year I happened to mention (when they were looking for suggestions to spice up the Pull) that a blind lawnmower race would be a fun distraction. Two days before this year’s Pull I received a phone call “Mandy, your lawnmower is here. How do you want to run it?” So by Thursday I was organising a market stall, a dog fancy dress, a dog high jump and a blind lawnmower. Brian went to another working bee and was conned into cooking the breakfasts and dinners. Excitement in the village was mounting and Friday was spent perfecting the grounds and learning about a zero-turn, ride-on lawnmower, while trucks started arriving and unloading tractors of all description. 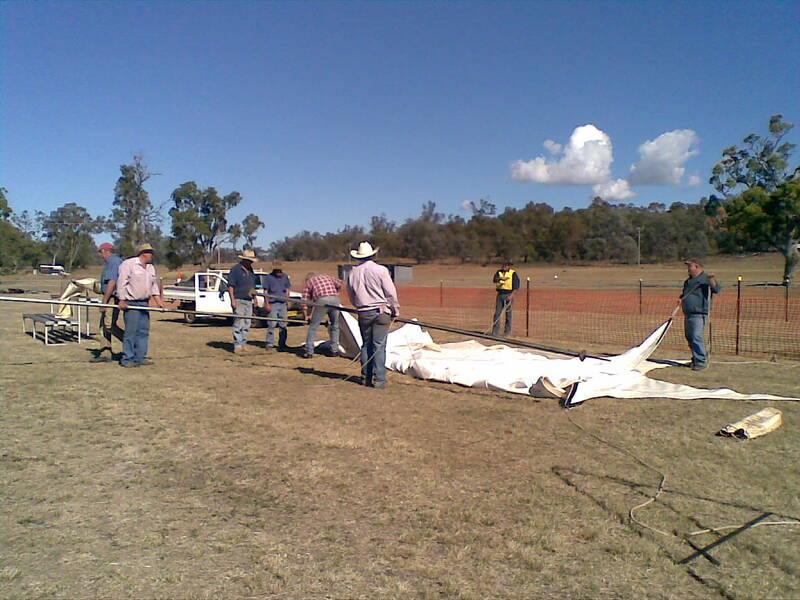 I entertained myself for a while by watching eight blokes attempting to erect a marquee as I was spinning off “how many men does it take to change a light bulb” jokes. That was until I was put on the end of a marquee-erecting rope – and then I shut up. On Friday night we all converged on the Wallaroo Hotel to meet some of the eccentric and colourful vintage tractor owners. One of these characters was Gavin, a semi-local, large of frame and loud of voice. 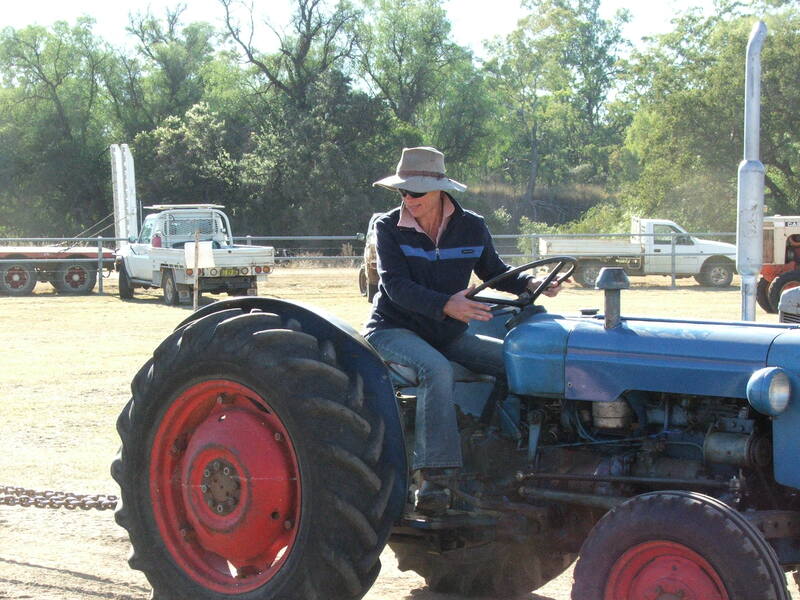 In high spirits and full of Pull jokes, he said to Brian and I that he had a “ladies” tractor and needed a driver. No prizes for guessing who volunteered. Brian then warned Gavin, “This had better not be just pub talk. You’ve got to let her drive it now or she’ll make you regret it.” I think I took this as a compliment. Gavin assured him that I was his new driver and that he would “learn me” in the morning. So now I was organising a dog fancy dress, a dog high jump, a market stall and a blind lawn mower and was about to make my debut as a vintage tractor puller. 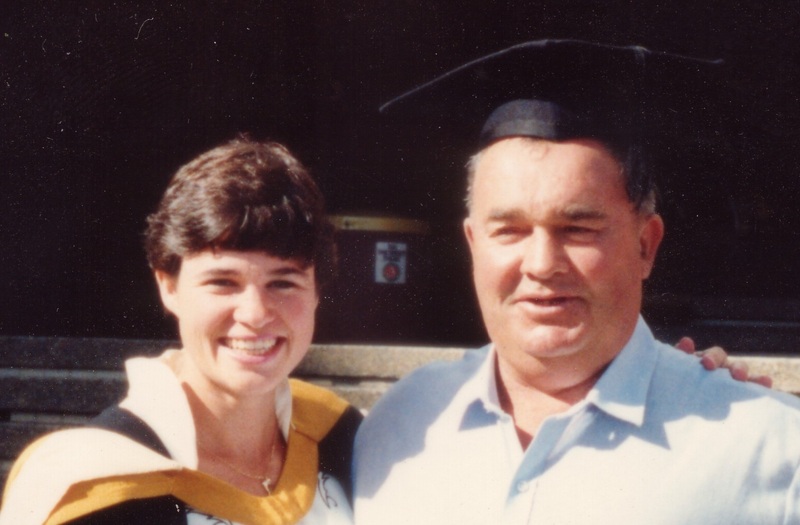 On Saturday morning Brian left home early to cook bacon and eggs in the frost at the Coolatai sportsgrounds. Recognising my aversion to both mornings and the cold, I slept in a little longer, had a leisurely bacon and eggs in the relative warmth of Rocky Springs and then headed to the party. And it was a party. Jen, my fellow Bush Telegraph editor and boat buddy (not that you need to know of our boat racing history, Pa) and I set up a market stall selling books and belts, next to my borrowed lawnmower. I shall try and recall technical details of the machinery, Pa, as I know you would be interested. The mower was green and yellow. Stretching around the grounds were another dozen or so market stalls, a motorbike display, old static engines, shiny vintage cars, real racing lawnmowers and of course plenty of tractors and the odd pulling bulldozer. But before the show kicked into gear I had to be learned so I went in search of Gavin who wouldn’t be hard to find anywhere unless you were stone deaf. Gavin, with a fresh batch of Pull jokes, led me over to his truck and five tractors and this is when I got confused. You see Gavin loves, and I mean really loves, his vehicles. When he asked “How are you this morning, darling?” I answered him only to discover he was talking to his truck, Mrs Mack. So then when he said “where should we pin this sign darling?” I remained mute, only to have him repeat the question as this time he was talking to me. See, confused. Anyway we eventually worked out our darlings and found his “ladies” tractor – a cute little blue number. Technically it was a 1958 Fordson Dexta 27HP and none of my friends will appreciate this Pa which is why I am writing to you. I did a few practice laps amongst the big tractors, which brought back memories of you teaching me to reverse park between the trampoline and a 44 gallon drum on that old Massey Ferguson of yours, and then returned to my stall and mower until I was required for competition. The blind lawnmower was a hoot. There were two options – the spinning disc or the obstacle course. The spinning disc involved driving the lawnmower, blindfolded, to a disc about 20m away but only after I had instructed the driver to first do a left hand circle. I tell you Pa, that disc was the safest spot on the whole grounds. No-one got near it. The eventual winner gave it a bit of a scare but for the rest of the weekend it was only the Red Cross Ladies in the canteen next door who were nervous. The obstacle course meant a blindfolded driver being directed around several witch’s hats by their appointed navigator. There were some funny husband and wife moments but the divorce rate was not as high as I anticipated. I don’t want to admit this but the worst times were from the two-woman teams. Jen was woeful. She panicked her driver who ran into my safety fence and started heading for the main Pull. The slowest time on the mower was six and a half minutes by two Red Cross Ladies who spent the entire time arguing. I told the navigator she was terrible and she got in a huff and walked off; and I got the evil eye every time I went to the canteen for food for the rest of the weekend. The fastest time was a very slick forty seconds by a rev-head from Moree and his excellent male navigator, but second place went to a father/daughter team which makes me think we would have done well Pa. Standing conceitedly across the road from me were the real racing lawnmowers (technical details – fast but they can’t cut grass). They condescendingly watched my mower and then sped off to their own track where they reached speeds of 80km/hr and drew huge crowds. Brian suggested I travel behind them with my mower, like the ambulance after the racehorses. While blindfolding a kid who had just been watching the racing mowers, a voice, drowning out the PA system, hollered “Mandy”. Gavin had summoned me to the Pull. I jumped on my cute blue Dexta, reversed, was chained to the sled with its lump of moving concrete blocks and then I towed until I stopped. And that was it. Sorry Pa, but I got more excited in the warm-up. I pulled 27.5m which was only half a metre less than Gavin, and since he had about 60kg more ballast for traction, I think I did OK in my first Pull. Then it was the lunch break which meant it was time for the dog events. Brian was released from sled duty in order to go home and get the jumps and Bonnie and One-eyed Clyde. I organised a bloke to run the show. His name was Ian – ex-army, handlebar moustache, bright yellow braces, loud, a penchant for calling things darling. He wasn’t even related to Gavin. A bit of Christmas tinsel wrapped around each foxy didn’t win Bonnie and Clyde any prizes in the fancy dress but that didn’t matter because they were only there for the jumps. 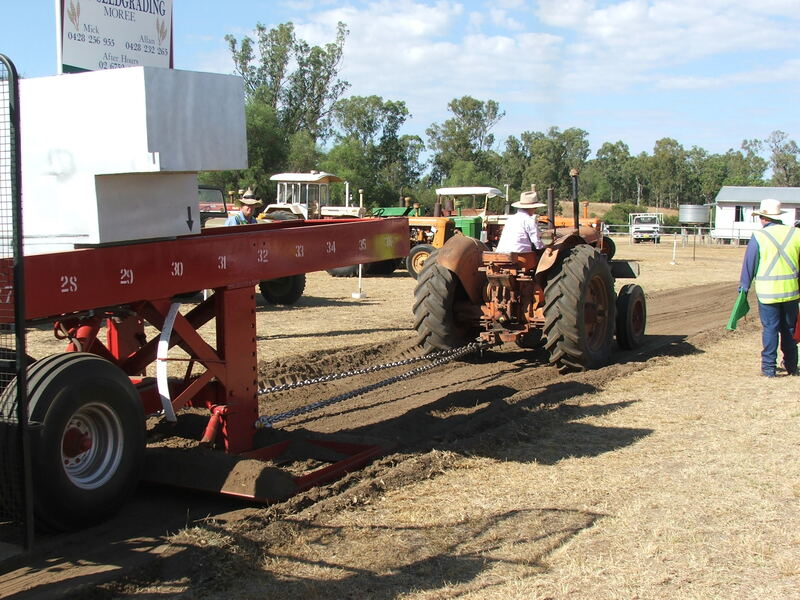 Both of them had won the jump at the Warialda Show last year, and Bonnie was the reigning champion from the 2011 Pull with a jump of 1m 12cm, so the bookies had them installed as favourites. But you wouldn’t believe it Pa; we were beaten by a one-eyed terrier named Trixie who jumped 1m 4cm. Bonnie (still the record holder) and Clyde filled the minor placings which meant that the top three dogs only had four eyes between them! Saturday afternoon continued in much the same way and we enjoyed a BBQ by Brian around a raging campfire that night – well we did until about 8:30pm when the frost started to settle at which time Brian and I did the bolt for our hill at Coolatai Heights. Sunday morning and Brian was once again up early and into the frost for breakfast while I kept the bed warm. But it wasn’t long before the action heated up with the blind lawnmower doing a constant trade. Some of the stallholders were getting a little testy as apparently vintage tractor owners do not like jewellery or books, but not surprisingly are mad on old junk and chooks, so the other half of the stallholders were happy. I took advantage of the current baby boom in Coolatai and sold a couple of baby sized stockman’s belts which helped to cover costs. With most of the serious Pull events out of the way, the organisers mustered all four women who had Pulled the previous day and set us against each other. We all drove the same tractor, which was called David Brown and which used to be red. Kerry and I pulled 30.5m to put us jointly in the lead. That wound up the competition. I found Gavin and said thankyou before kissing him on the cheek. That was the first time he was speechless in 36 hours. At the presentations they awarded me first place in the ladies division. They reckoned smiling at the judge had earned me an extra 10cm; but I’d rather think the judge had got a tap on the shoulder as a voice whispered in his ear “that’s my daughter out there”. Thanks Pa. I miss you. 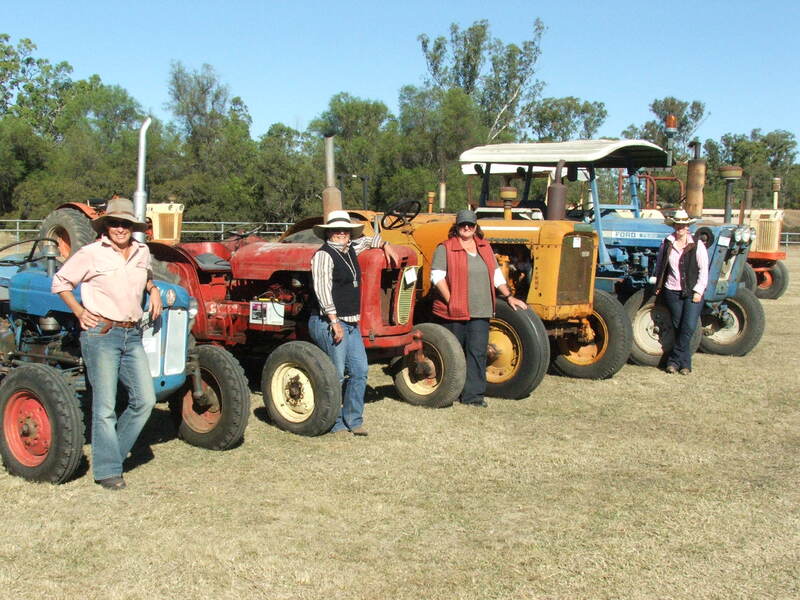 Ladies Division at the Pull with our original competition tractors. That’s me and Gavin’s little blue Dexta on the left, and the David Brown is next in line. This entry was posted in They're a Weird Mob and tagged blind lawnmower, Coolatai Vintage Tractor Pull, Fordson Dexta, Wallaroo Hotel. Bookmark the permalink. I’m with Julie, I love this one too. I’m sure he’s watching and he’s absolutely delighted! Amoung the many things I enjoy about Coolathai is the family spirit with all involved the spirit of your community is the way life should be for all. I have totally enjoyed myself on both visit made totally welcome. Yes I will be Back in 13 and yes all things will still be Darling . Great evidence (fun, too) of why you win awards of more kinds than most can cipher on both hands and their shoes off. Sweet reminiscing over ‘Pa’. A wonderful bit of writing as ever. I hope that this year’s pull doesn’t turn into a total mudfest, although it is looking likely.